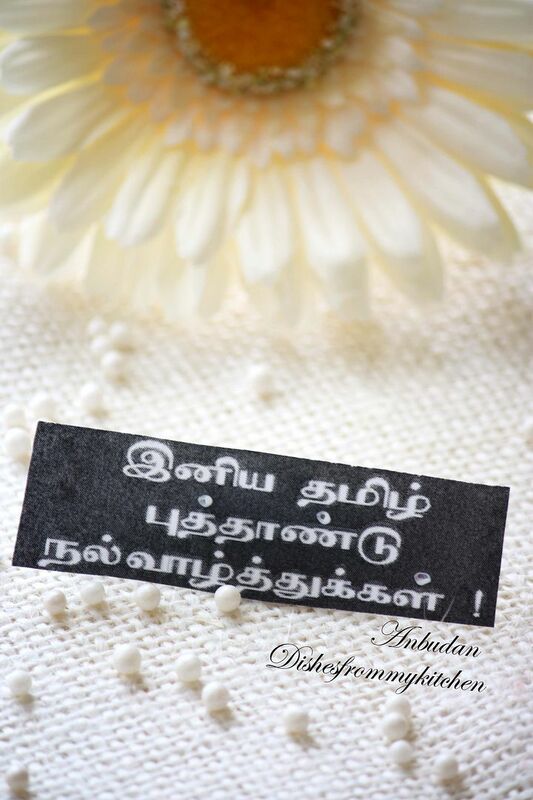 Dishesfrommykitchen: WISH YOU ALL HAPPY TAMIL NEW YEAR !!! - MILK SWEET (PAALKOVA) easy, fat free but delicious. With step Pictures !!! WISH YOU ALL HAPPY TAMIL NEW YEAR !!! - MILK SWEET (PAALKOVA) easy, fat free but delicious. With step Pictures !!! I wish all my readers and friends " Happy Tamil New year" . Today's post is a Milk sweet which is called as Paalkova. This sweet is usually prepared by boiling and condensing the milk in the stove top for hours. Even though it is time consuming the end result is super rich and delicious. But I am posting the short cut method of making Paalkova. 9. Should I follow the same method if I use normal Condensed milk other than Fat free Milk - Yes, only slight variation in time and measurement of ingredient. I am posting both the version please take a look in the variation part. If you have more question please leave a comment. 2. Microwave for 3 minutes , stirring once every minute. 3. Now add 5 tbsp of yogurt. Mix well and microwave for 9 to 10 minutes, stirring every 1 minute. 4. Add the powdered cardamom. 5. Since we are using low fat condensed milk, the sweet will be little bit loose. 6. Now drain them in the strainer, let it sit for 5 minutes, stir it. 7. Now using the whisk, give it a whisk for 2 or 3 times.. don't over do it. The readiness of the sweet can be seen when the condensed milk is curdled. 1. Reduce the yogurt to just 3 tbsp. 2. Microwave only for 4 to 5 minutes after adding yogurt. 3. You need not drain the sweet..as it comes nice and thick. 4. Whisking is optional.. if you are ok with the consistency and texture. 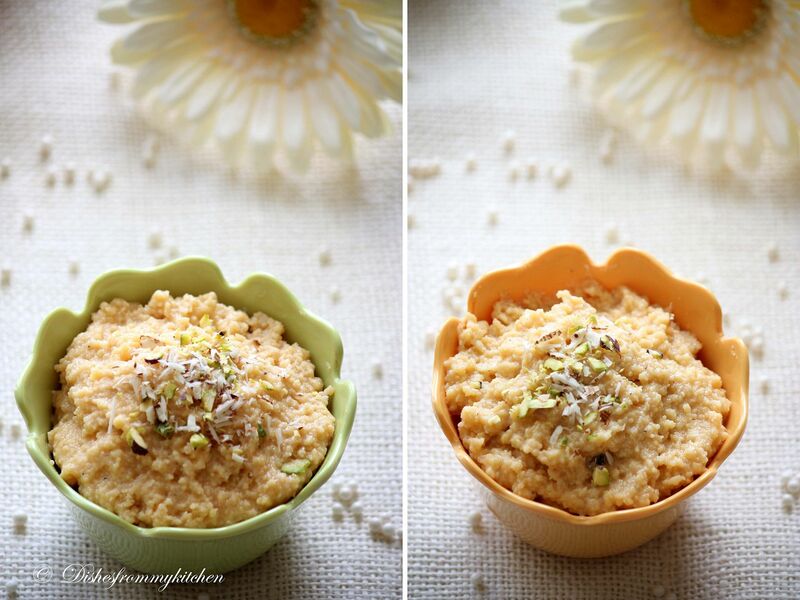 Hope everyone will love this rich sweet which is very simple to make. Wish you all once again " Tamil Puthaandu Vazhthukaal !!! " . beautiful clicks nd milk sweet pavi...hpy tamil new year..
Great tip , although I never heard of non sour yogurt .. any brand you can suggest ? Love the pics .. beautiful! 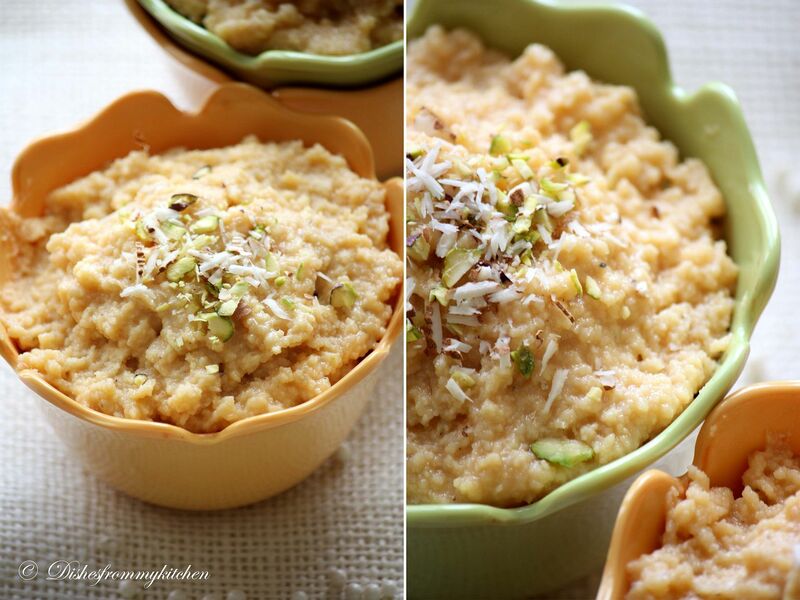 This is my fav sweet...looks so yumm...Puthandu nalvathugal to u too...! happy new year! And thanks for the mouth-watering treat! I love paalkova anytime! happy tamil year pavi! !yummy n delicious paalkova!my fav one! Happy Tamil New year wishes Pavi, paalkova looks absolutely fabulous,my fav.. Wow!! !Pavithra, easy recipe and that too with less ingredients. Lovely. Very interesting dish and looks delicious.Love the cute little bowls. yummmmmmm , i posted this sweet a few days back- made it on a stove top, this MW version looks so delish - gotta try this version soon ! 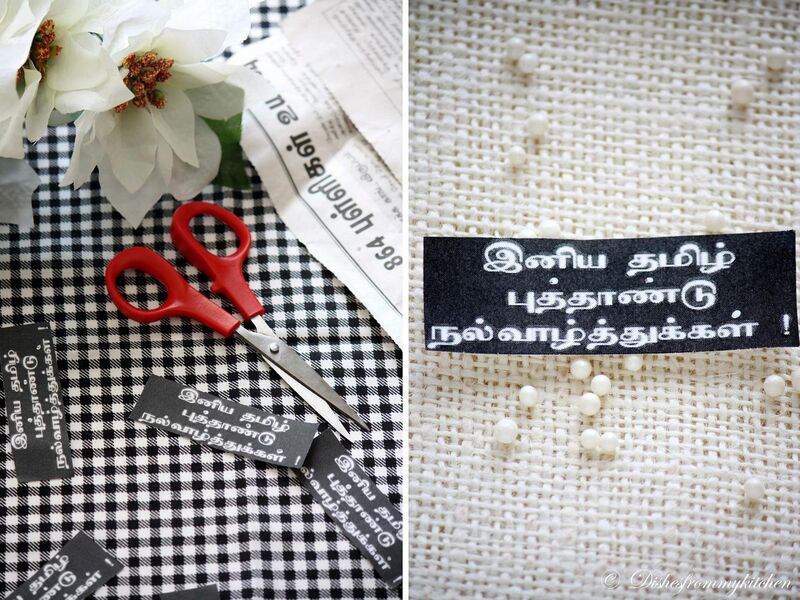 Iniya tamil puthandu vaazhthukkal to u n family ! Happy tamil new year wishes to you and to your loved ones..paalkova looks decadent! Wow Looks tempting and perfect. will try soon. Wish you and ur family a very Happy New Year. 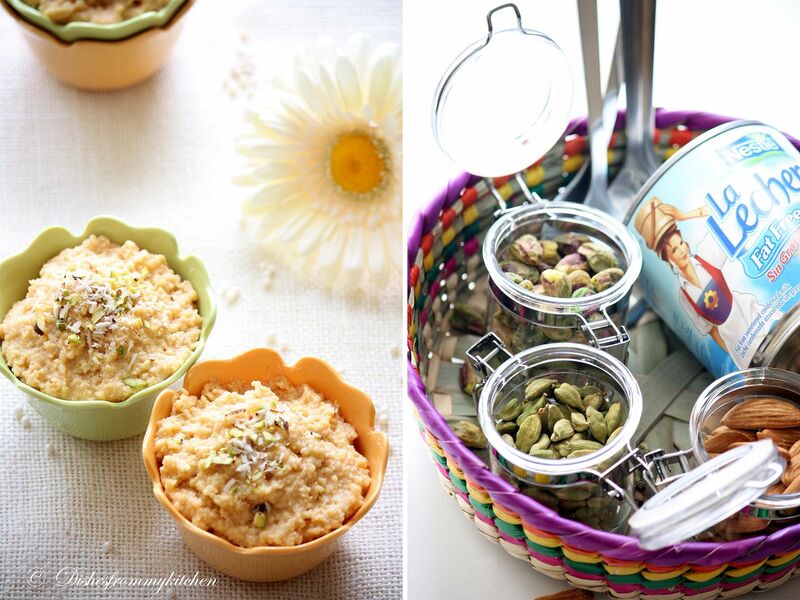 Oh how simply wonderful recipe, Pavithra! Happy New Year to you and family dear-the sweet looks mind-blowing- my dad is a big fan of this! Wishing you a happy new year Pavithra...Also you keep coming up with such great recipes..and I must say you have simplified this classic dish that anyone can do it...I for one want to try it right away..AWESOME CLICKS!!! AWesome Presentaion!!! BTW I tried ur Puran Poli recipe for Gudi Padwa..came out great..Will soon post it at my blog.. Happy Tamil new year wishes to you pavitra, Palkova lokos yummy yumm, i love it so much! This looks so yummy and sweet! I'm going to try it this weekend! happy Tamil New year dear !! Sweet looks so tempting and very delicious !! Loved the pics !! Can I come over for a bowl or two of this lovely sweet. Happy New Year Pavithra!....delicious looking paalkova!...very quick and easy recipe! இனிய தமிழ் புத்தாண்டு வாழ்த்துகள்...பால்கோவா ரொம்ப நல்லா இருக்கு,..
Dessert looks yummy and tempting.. Happy New Year! We celebrate the Bengali New Year too. I keep reading this as Pavlova:-) Looks so good. Palkova Pramadham - Iniya Puthaandu Vazhithikal to you and yours :)! wish u the same.sweets looks absolute yum. Happy New year to you too.Loved this instant palkova.This look so good. 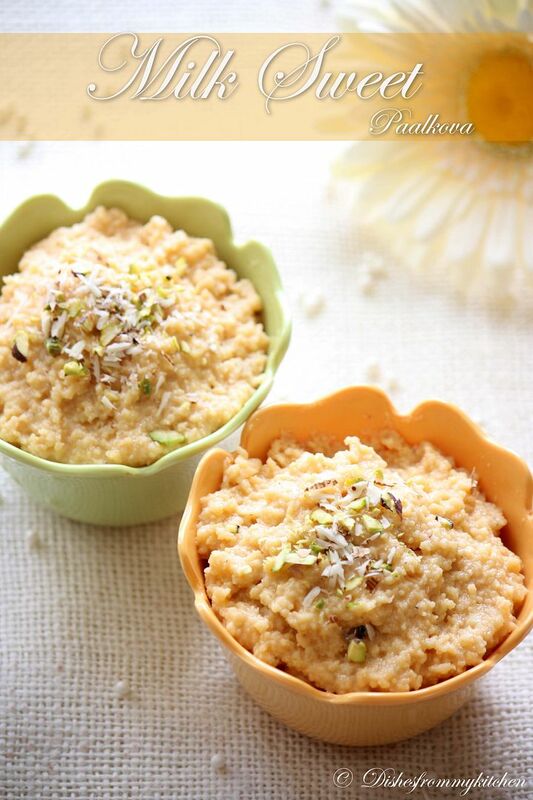 Its really a thoughtful idea to make Sweet dish which is really guilt free. Moreover your recipe made a classic dish simple to prepare. Great Job! Happy New Year to You! The pictures are awesome as always. Happy Tamil new year to u too Pavithra .... love the recipe ,the pics are truly out of the world.... Jus saw ur prev post too , the cup pizzas are so so creative .. great for kiddo parties !!! Happy new year and nice easy celebratory sweet. check the chat box....I have sent a message! Your paalkova looks so delicious! Happy New Year Pavi!! Paalkova looks delicious and beautiful clicks as always! Beautiful and beautiful like the questioner there :) and plakova is heavenly! Happy New Year Pavi! I haven't done the low fat version, but sounds equally delectable! Awesome clicks gal!! Hope you had a great start!!! drooling over the pics.. I can guess the sweets would be very yummy! And I will try to prepare this at home on new year eve. "I dont have electronic microwave oven at home. So can you tell me the recipe by using Gas stove oven?" Kindly Help me on that.. This is so easy and looks delicious. Love the bowls! 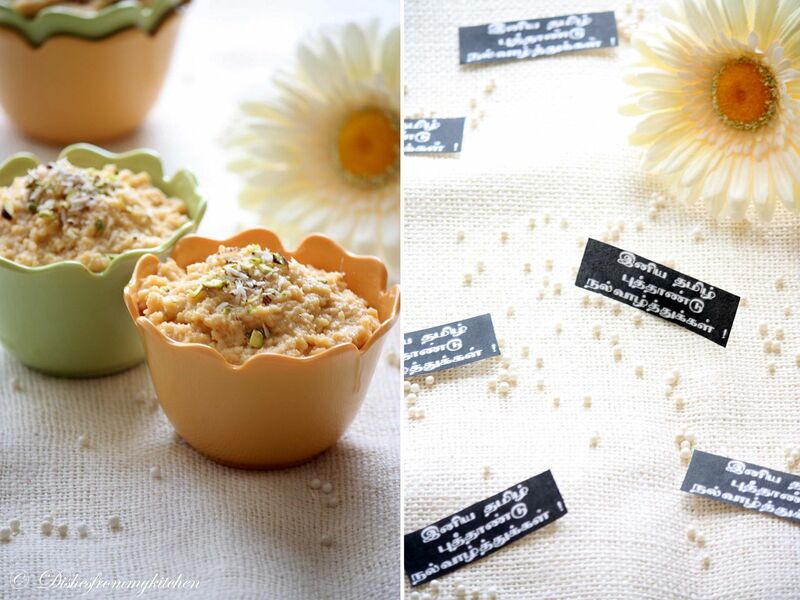 Happy New Year Pavithra...beautifully presented and I love the easy recipe.